Majors Home Improvement is the company to trust for energy-efficient vinyl windows in Crestview, Florida. We sell and install our very own Majors Select™ replacement windows that have insulated glass, welded frames and sashes, and multiple chambers. These components work together to lessen heat transfer and ensure your home always maintains an optimal indoor temperature without relying heavily on your HVAC system. In turn, you may see a reduction on your monthly energy bill. Aside from offering exceptional energy efficiency, our vinyl windows are durable, featuring solid vinyl frames that resist rotting, rusting, pitting, corroding, blistering, peeling, fading, cracking, and warping, so they maintain their beautiful appearance year after year. They are also designed with tilt-in sashes for easy cleaning and interlocking meeting rails for added security. All in all, the vinyl windows from Majors Home Improvement are truly second to none. Best of all, we believe so highly in the long-lasting quality of our windows that we back them with a double lifetime warranty, ensuring your investment is completely safeguarded. To learn more about our vinyl windows and to schedule a complimentary in-home consultation, contact Majors Home Improvement today. 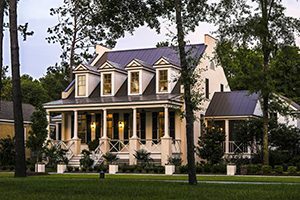 We’re pleased to be the window installer of choice for homeowners in Crestview, FL, and nearby cities.